1, special material: PP plastic material filter can be used for high temperature and high concentration of hydrochloric acid, sulfuric acid, aqua regia and other strong acid and alkali solution filtration and most of the chemical liquid filtration. 2, the structure is simple: filter by the main body, net blue, cover composition. Main body: The filter cavity and the inlet and outlet flanges, the upper flange of the main body, the installation of the square base and the supporting net blue fixing piece are integrally injection-molded without any thread and welding to ensure the product is sealed safely without any leakage and damage; Blue bolt holes from the multi-function, with GB, American standard, Japanese standard, German standard flange; installed square base enhances the safety and stability of the product, easy to fix in different needs of the place; four-hole mounting square base Insole elevation, easy to clean the interior of the product and filter media emissions. Net blue: net blue one form, blue net appearance design distribution, orderly prominent solid square column, increased net blue pressure resistance. Cover: The cover is integrally formed, the cover made a special design, won the national recognition of the patent, enhanced cover the pressure, can withstand 1.2Mpa pressure. 1, cut off the pump power and lock the pump power can not be turned on until the pump is running completely stopped. 2, close the filter inlet valve. 3, close the filter outlet valve. 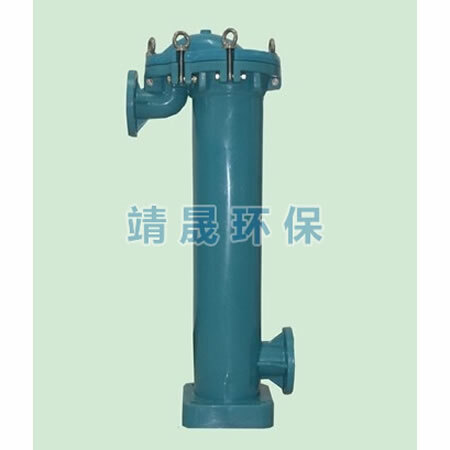 4, open the drain valve, and then open the exhaust valve, the filter discharge liquid. 5, the filter should be no internal pressure. 6, check the pressure gauge pressure should be zero pounds. 7, additional external force Loosen the metal rings on the filter cover counterclockwise, 6 rings should be symmetrical loose, respectively, until the separation of the lid. 8, carefully remove the filter bag, insert the new filter bag. 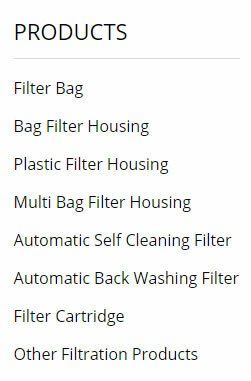 9, the recommended pressure filter bag is 2 filter bag. 1, with a small amount of lubricant to clean the o-ring gasket and O-ring gasket groove health. 2, the lid into place alignment, 6 rings and washers were placed in the top cover. 3. Manually and symmetrically tighten the metal lifting ring clockwise symmetrically, and then tighten the lifting ring symmetrically with the external force so that the lower end surface of the cover closely touches the upper end surface of the main body. 4, close the drain valve and exhaust valve. 5, open the outlet valve, and then open the inlet valve. 6, clean the outer surface of the filter, and do not scratch the outer surface. 7, Close the power, start the pump, check the lid seal for leakage and pressure gauge pointer is in the appropriate scale range. Hydrochloric acid, Sulfuric acid, Aqua regia and other strong Acid and Alkali solution filtration and most of the chemical liquid filtration.